A 3Mhz TV signal needed to be reduced to just 3Khz, 1/1000th of its original bandwidth! Given the right conditions, amateur radio operators can talk to anyone, anywhere in the world. But what about television? Could that be sent around the world too? articles. 73 is morse-code shorthand for “best regards” in amateur radio lingo. 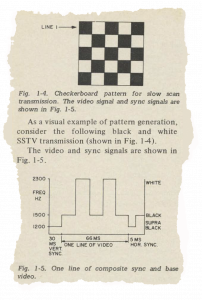 Analog television transmitted a lot of information, and because of its large bandwidth requirements needed to broadcast at frequencies in the Very High Frequency and Ultra High Frequency bands – which meant its signals couldn’t travel very far. Once they passed the horizon, they just traveled off into space! But amateur radio operators of the 1950s were able to talk all over the world using the 10-metre shortwave (or High Frequency) band. Unlike VHF and UHF, signals broadcast in this band can refract off of the ionosphere, a layer of the atmosphere ionised, or charged, by solar radiation. Radio operators could (and still can) “bounce” their signals off of the ionosphere, sending them back down to receiving stations far beyond the horizon, even on the other sides of oceans or in other hemispheres. So, the question became: If we can send audio such long distances, can we send video there, too? Well, in 1958 Copthorne Macdonald, a young engineering student at the University of Kentucky, asked that very question, and embarked on a mission to answer it. He soon realised that, fundamentally, he had to reduce the amount of the video information to be transmitted, so that it would fit in the reduced bandwidth offered by the lower-frequency 10-metre band. The diagram above demonstrates how a slow-scan television signal is encoded. In this case, a checkerboard is represented by pulses of two different frequencies, one representing pure black, and the other representing pure white. A synchronisation tone (marked “supra black”) demarcates separate lines. 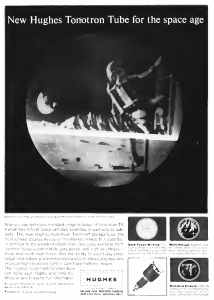 Copthorne devised a method of encoding luminance information using amplitude modulation, varying the strength of a single tone to represent the changes in the brightness of each television scan line. However, he could only test his scheme on the 11-metre band, which at the time was the only amateur radio band licensed by the US FCC (Federal Communications Commission) for television use. 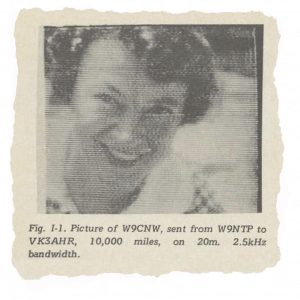 But while Copthorne was conducting his tests, the FCC reallocated the 11-metre band to citizen’s band (CB) radio – and didn’t designate any other amateur radio bands for television use! Legally, Copthorne’s “slow scan” television could only be broadcast in the VHF frequency band – which severely limited the range and defeated the purpose. He lobbied the FCC for special dispensation to continue test broadcasts on the 10-metre band, which he was granted in a limited capacity. During this time, he successfully sent still images across the Atlantic. Other amateur radio enthusiasts began to notice and experiment with SSTV, exchanging audio tapes of images because they weren’t allowed to transmit them on the 10-metre band, and none of them lived close enough to receive on VHF frequencies. Meanwhile, in 1961 a new system was devised, which used frequency modulation (FM) instead of AM. Excitement in the amateur radio community grew over the possibilities of slow-scan television, and petition after petition was written and filed with the FCC to permit SSTV broadcast on the 10-metre band. The petitions were ignored, possibly due to pressure from commercial interests which felt threatened by the idea of “free” image transmission. 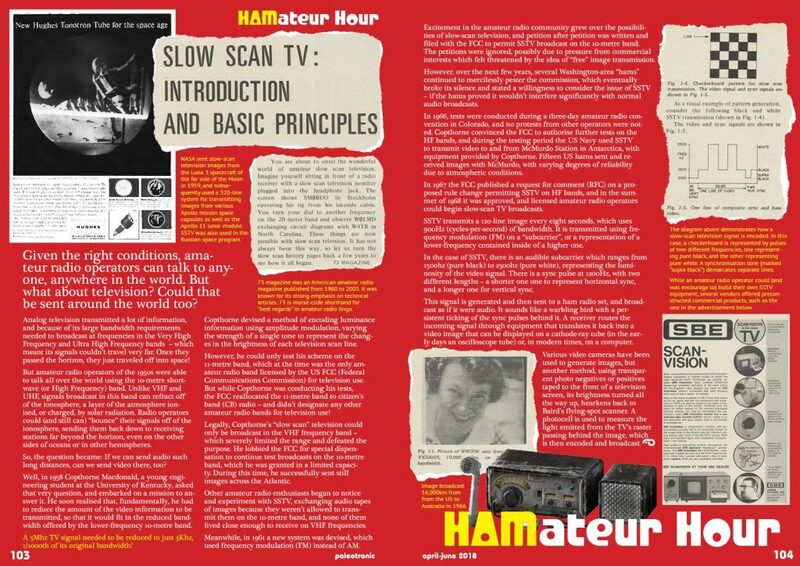 However, over the next few years, several Washington-area “hams” continued to mercilessly pester the commission, which eventually broke its silence and stated a willingness to consider the issue of SSTV – if the hams proved it wouldn’t interfere significantly with normal audio broadcasts. Image broadcast 16,000km from from the US to Australia in 1966. In 1966, tests were conducted during a three-day amateur radio convention in Colorado, and no protests from other operators were noted. Copthorne convinced the FCC to authorise further tests on the HF bands, and during the testing period the US Navy used SSTV to transmit video to and from McMurdo Station in Antarctica, with equipment provided by Copthorne. Fifteen US hams sent and received images with McMurdo, with varying degrees of reliability due to atmospheric conditions. 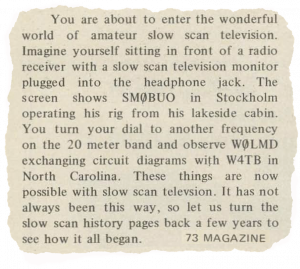 In 1967 the FCC published a request for comment (RFC) on a proposed rule change permitting SSTV on HF bands, and in the summer of 1968 it was approved, and licensed amateur radio operators could begin slow-scan TV broadcasts. SSTV transmits a 120-line image every eight seconds, which uses 900Hz (cycles-per-second) of bandwidth. It is transmitted using frequency modulation (FM) on a “subcarrier”, or a representation of a lower-frequency contained inside of a higher one. NASA sent slow-scan television images from the Luna 3 spacecraft of the far side of the Moon in 1959, and subsequently used a 320-line system for transmitting images from various Apollo misson space capsules as well as the Apollo 11 lunar module. SSTV was also used in the Russian space program. In the case of SSTV, there is an audible subcarrier which ranges from 1500hz (pure black) to 2300hz (pure white), representing the luminosity of the video signal. There is a sync pulse at 1200Hz, with two different lengths – a shorter one one to represent horizontal sync, and a longer one for vertical sync. This signal is generated and then sent to a ham radio set, and broadcast as if it were audio. It sounds like a warbling bird with a persistent ticking of the sync pulses behind it. 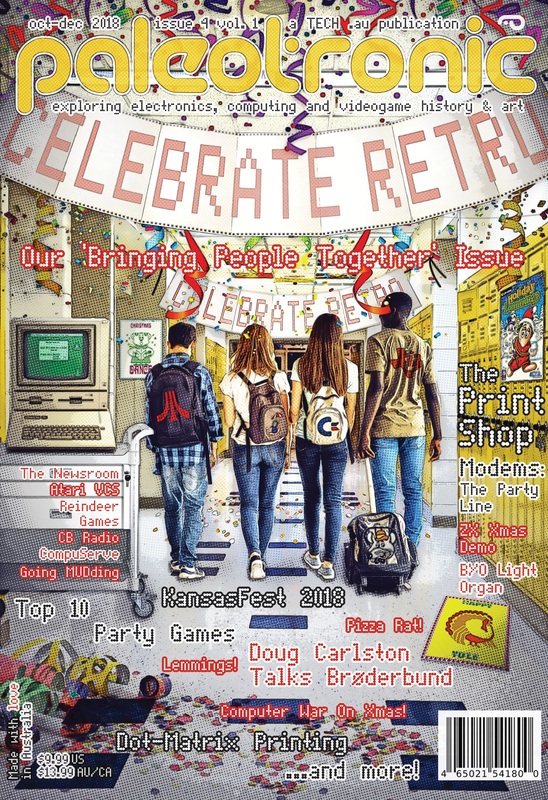 A receiver routes the incoming signal through equipment that translates it back into a video image that can be displayed on a cathode-ray tube (in the early days an oscilloscope tube) or, in modern times, on a computer. Various video cameras have been used to generate images, but another method, using transparent photo negatives or positives taped to the front of a television screen, its brightness turned all the way up, hearkens back to Baird’s flying-spot scanner. A photocell is used to measure the light emitted from the TV’s raster passing behind the image, which is then encoded and broadcast. 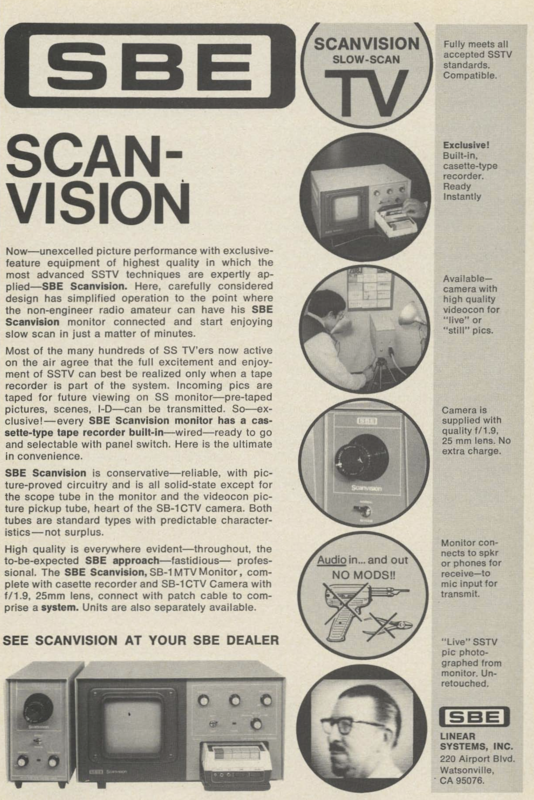 While an amateur radio operator could (and was encourage to) build their own SSTV equipment, several vendors offered preconstructed commercial products, such as the one in the advertisement above.